Eau Claire lies along I-94 about 60 miles east of the Minnesota border and Mississippi River and 80 miles east of Minneapolis-St. Paul. A former logging town with more diversified industry today, Eau Claire is a gateway to wilderness and recreation areas to the north and northeast. The attractive town has older buildings and shady streets along a graceful bend in the Chippewa River. The University of Wisconsin-Eau Claire adds about 10,000 students and some college town flavor. The outskirts, mostly above the valley, are quite spread out with a number of light manufacturing firms and retail developments mainly south and east of downtown. Suburbs spread mainly north towards Chippewa Falls, a nice mainly residential small town with some higher end developments about 5 miles away. Typical of a small Wisconsin town are the low cost of living and crime, and clean, attractive surroundings. Eau Claire sits in the scenic Chippewa Valley at the convergence of the Chippewa and Eau Claire rivers. The immediate terrain is level with wooded hills rising in all directions from town. The landscape flattens to the west toward the Mississippi River and many lakes are to the north. The continental climate and location near major storm tracks bring wide fluctuations in temperature and precipitation. Summers are warm with moderate humidity and periods of warmer weather. Winters are cold with varying humidity and outbreaks of bitter cold following storm systems arriving from the west. Summer precipitation occurs mainly as thunderstorms, while snowfall and snow cover persists all winter. The valley location can result in fog on cool nights. The city’s position to the west of the Great Lakes means more sunny days than other Wisconsin cities. First freeze is late September, last is mid-May. 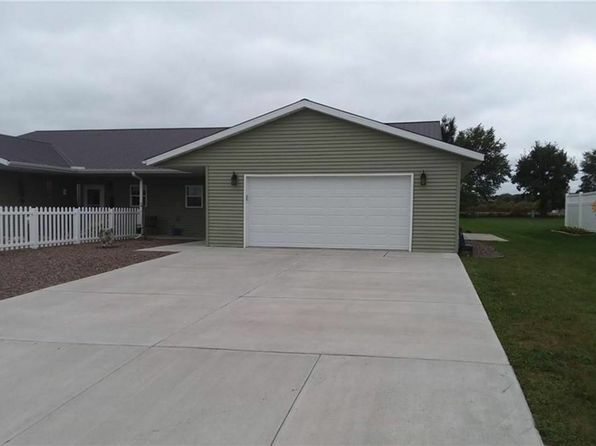 The median home price in Bloomer is $152,600. Browse Homes in this Range. 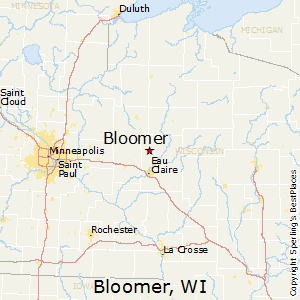 Compare Bloomer, Wisconsin to any other place in the USA.